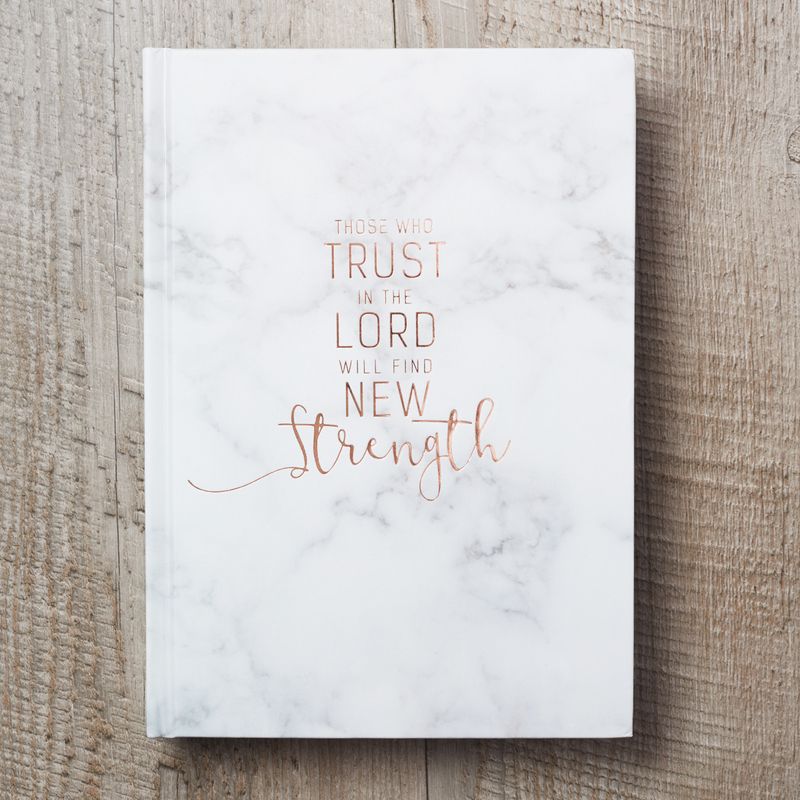 An inspiring and elegant journal, this is the perfect place to reflect on you faith, your day, and what God has in store for you. Want a handsome place to reflect on your day? 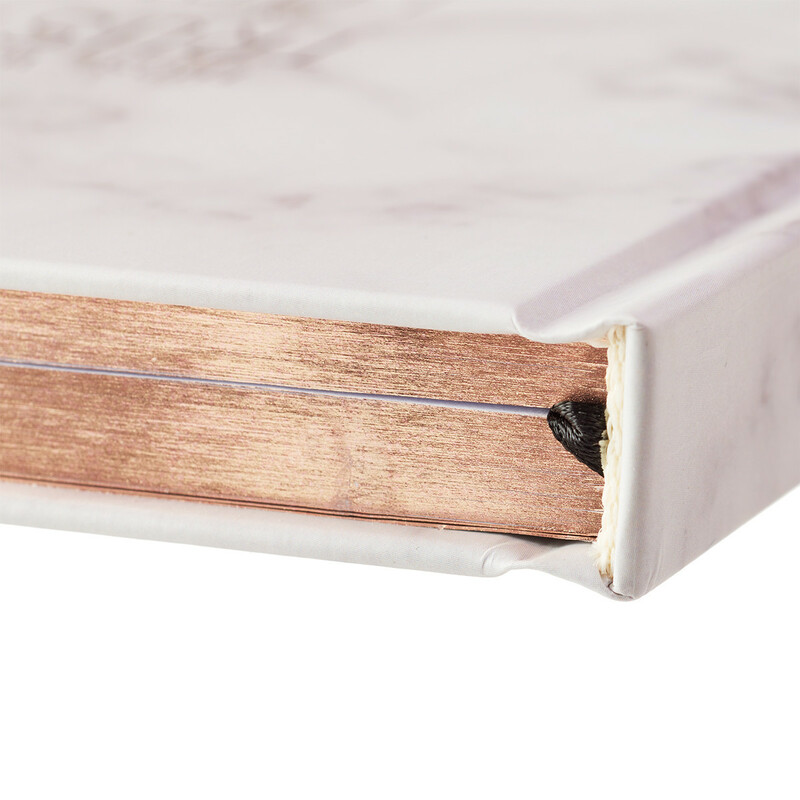 This hardback journal contains lined and blank pages. Perfect for drawing and writing away. 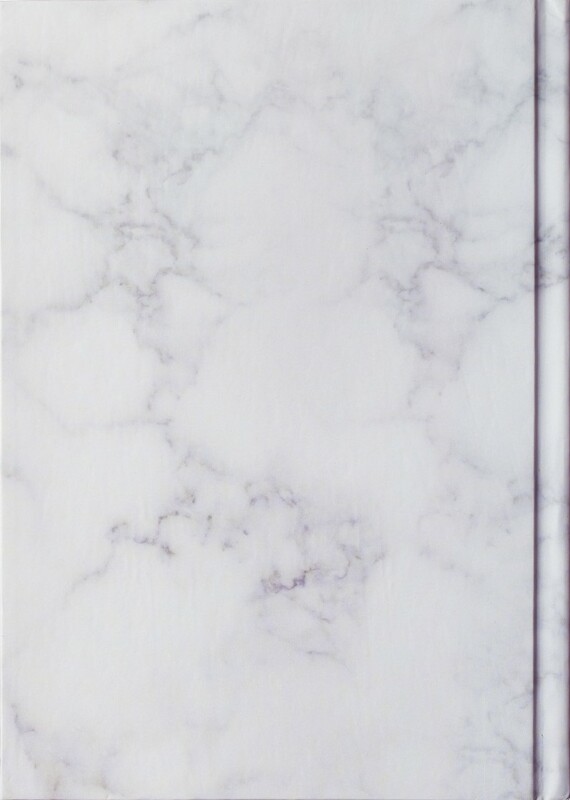 Boasting undeniable elegant style, this hardcover journal displays a timeless stylized Carrara-like marble design with subtle gray veining against a brilliant white background. 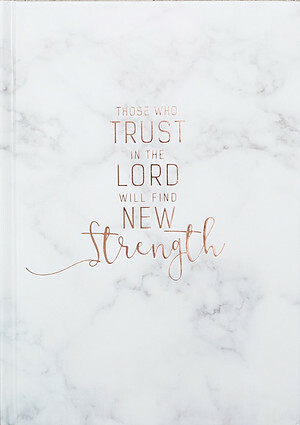 Its cover features the empowering Scripture verse of "Those who trust in the Lord will find new strength" from Isaiah 40:31 embossed in brilliant metallic rose gold. Whether you enjoy writing about inner thoughts while quieting yourself before God, sketching or simply jotting down bits of inspiration during the hustle and bustle of life, the beautifully designed 256 gilt-edged lined and drawing pages give you plenty of space to do so along with a hope-filled verse on the bottom of every other page that prompts reflection. 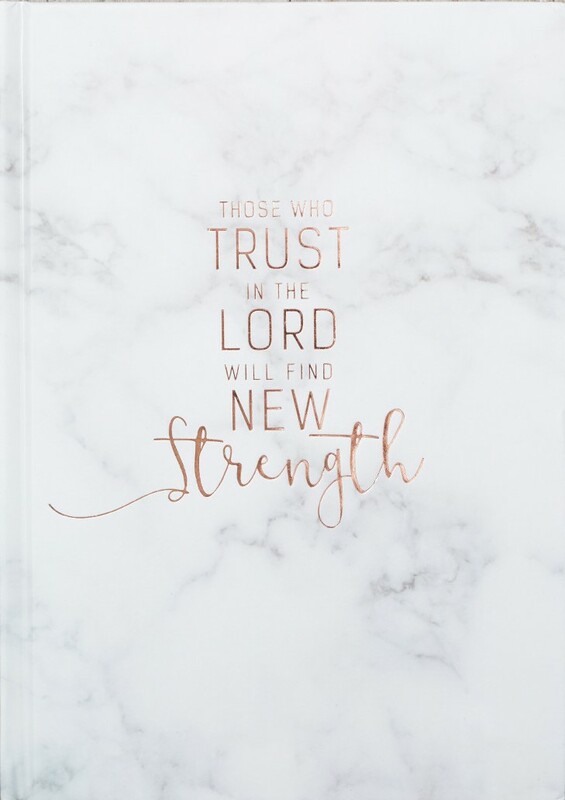 Those Who Trust In The Lord Journal by Christian Art Gift was published by Christian Art Gifts in March 2017 and is our 918th best seller. The ISBN for Those Who Trust In The Lord Journal is 9781432119874. 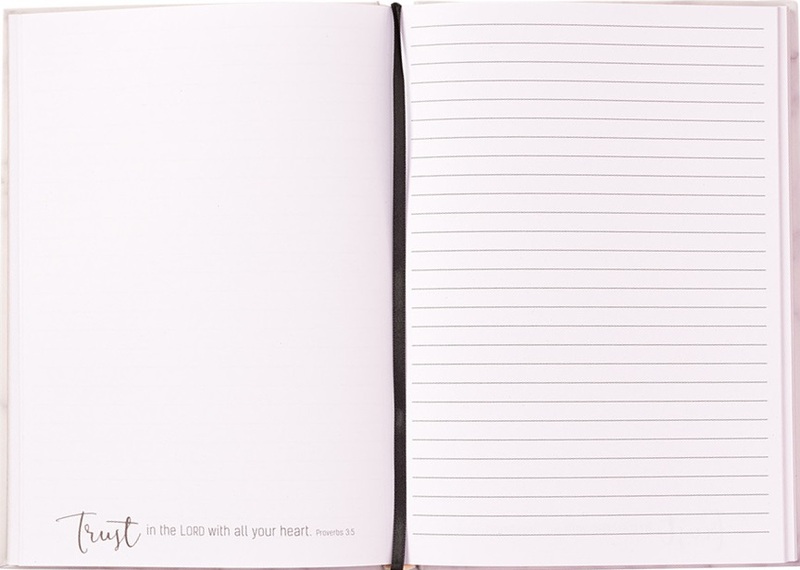 Be the first to review Those Who Trust In The Lord Journal! Got a question? No problem! Just click here to ask us about Those Who Trust In The Lord Journal.